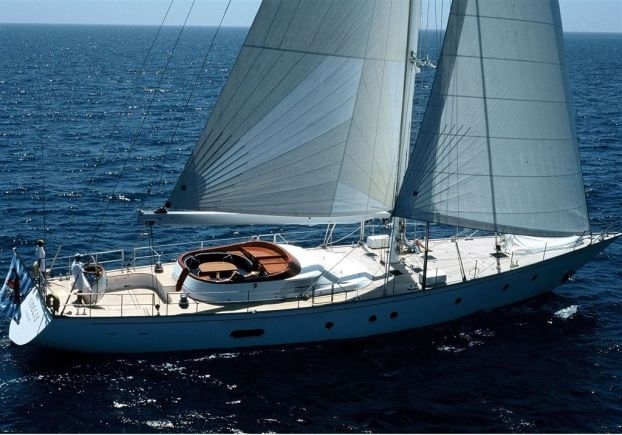 Sailing yacht MALIZIA was built and launched by famous luxury yacht builder Perini Navi in 1989, this 24.3 (80ft) charter yacht has a traditional fast hull design and sloop rig, she can comfortably sleep 6 guests in 3 en-suite cabins while chartering the Mediterranean. 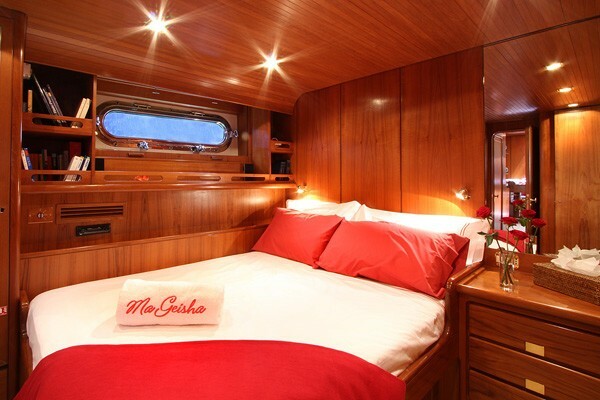 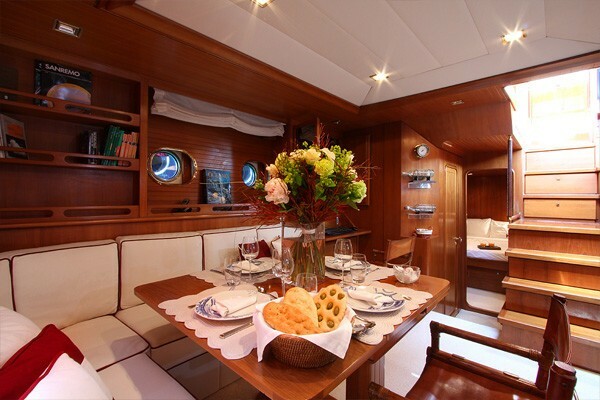 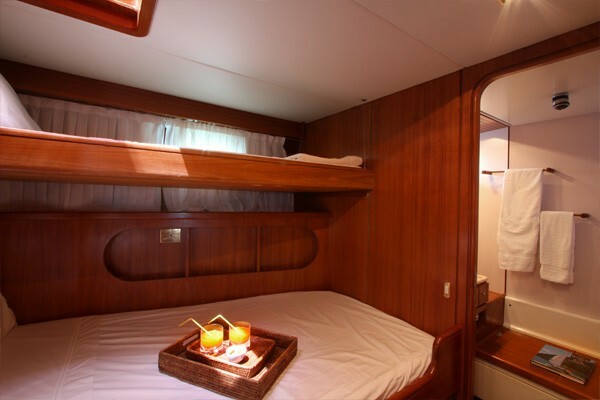 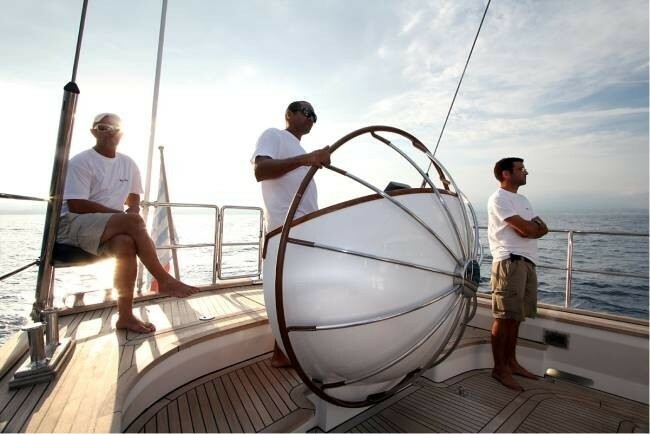 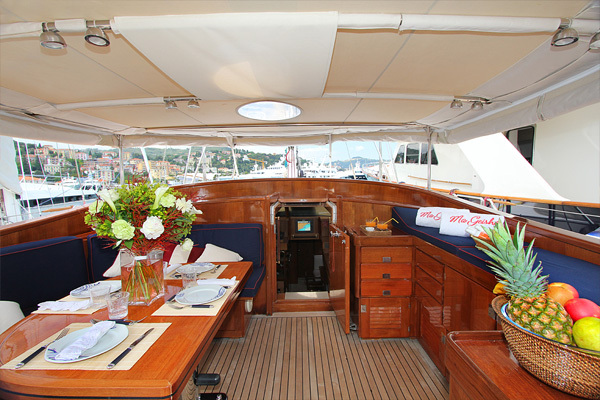 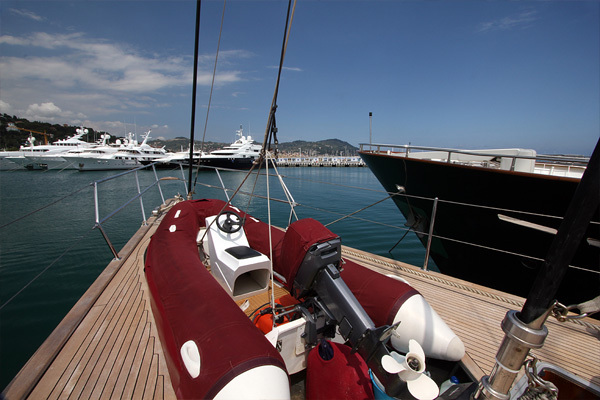 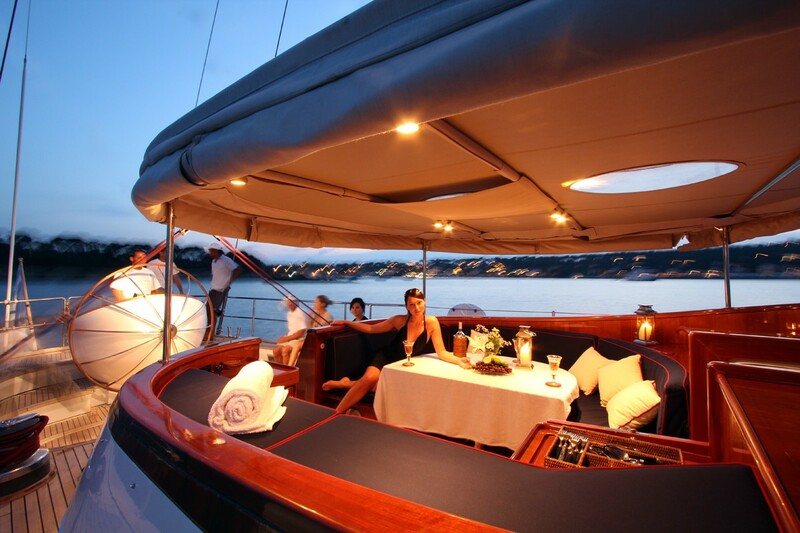 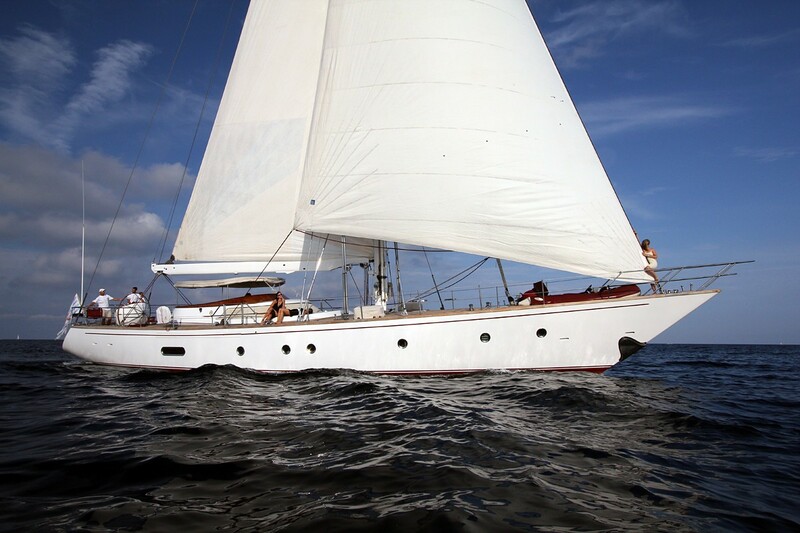 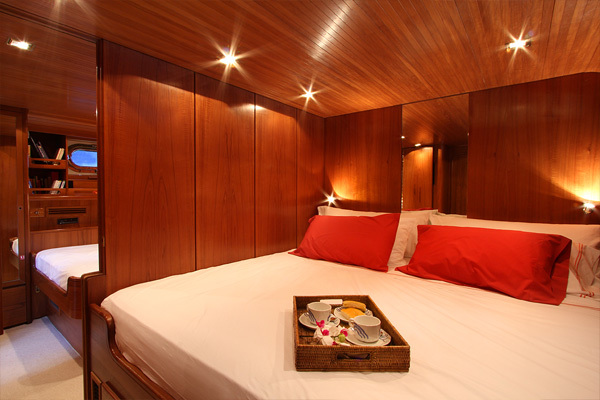 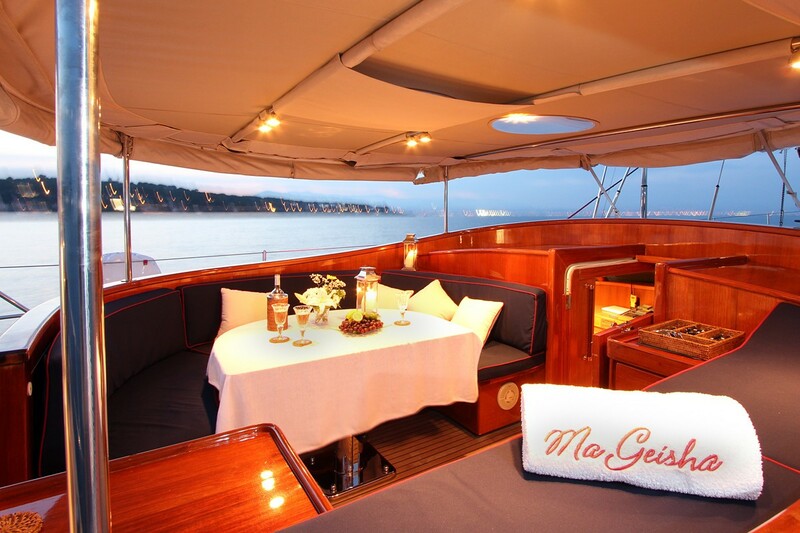 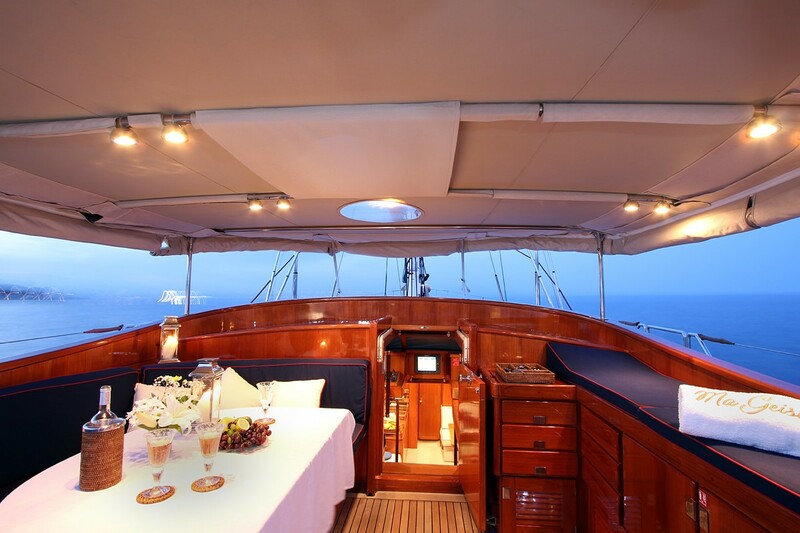 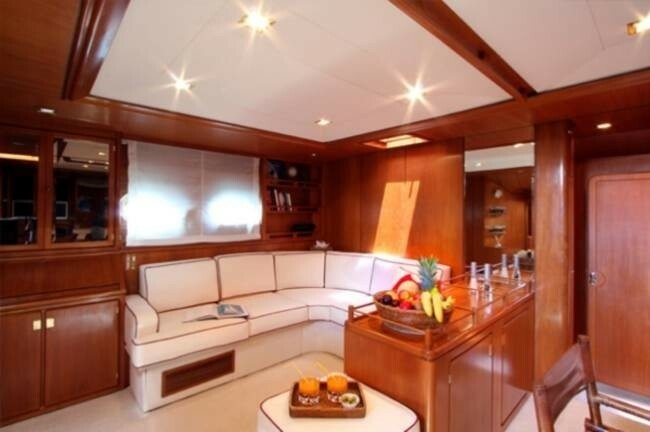 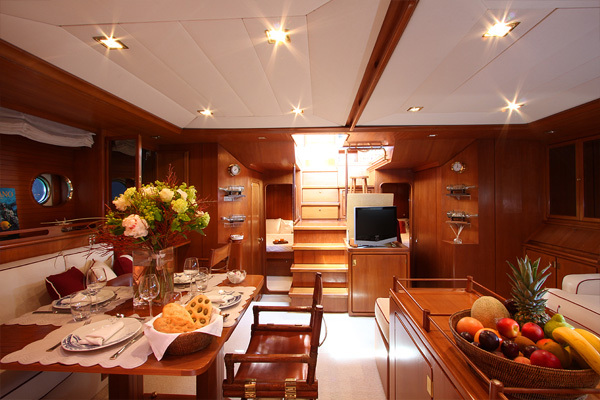 Luxury S/Y MALIZIA is spacious with a 5.49 meter (18ft) beam allowing plenty of space to relax. 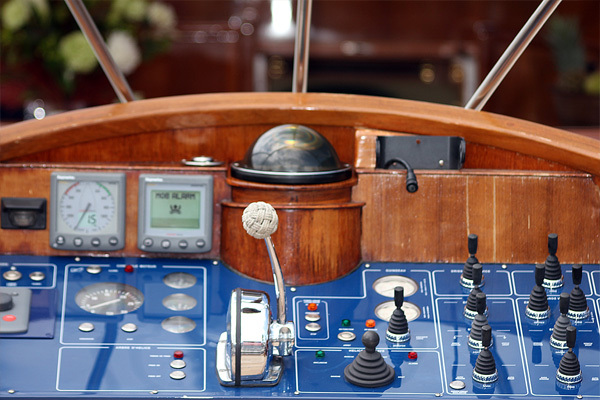 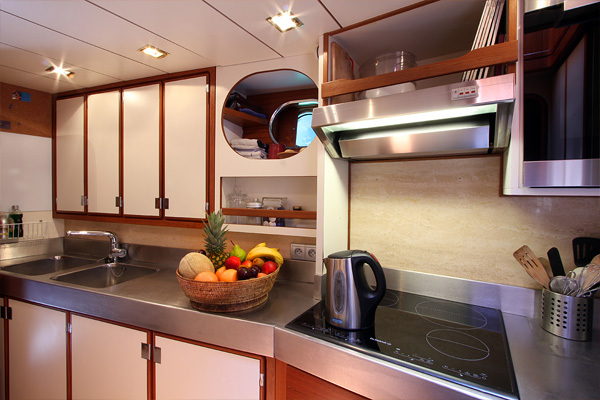 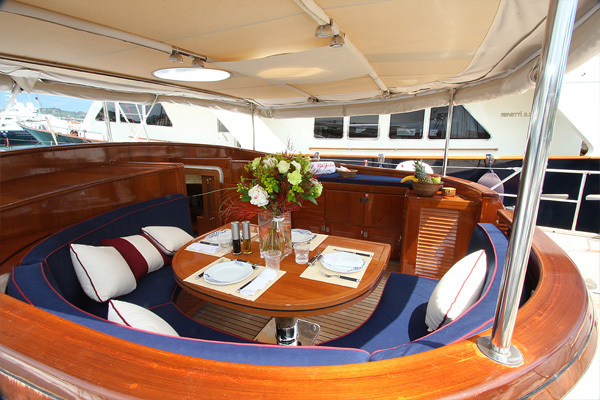 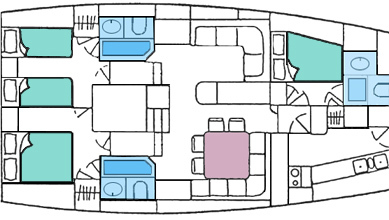 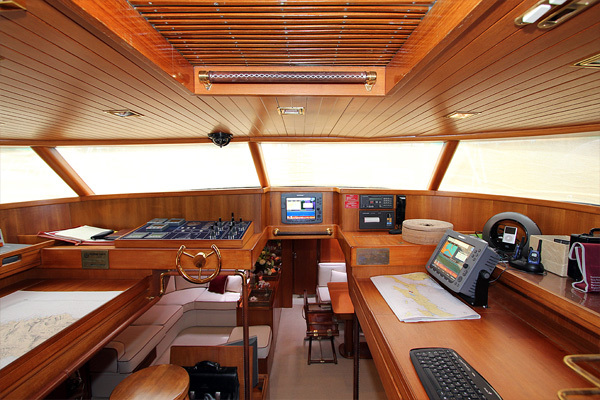 The ample cockpit is ideal for enjoying the warm sun and catching a tan, an alfresco dining option complete with bar, ice maker and electric BBQ is forward of the helm stations and offers an optional Bimini cover. 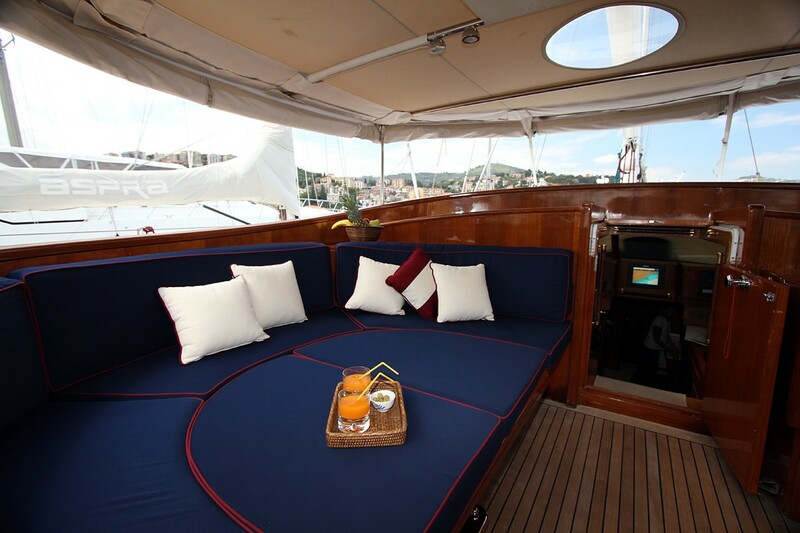 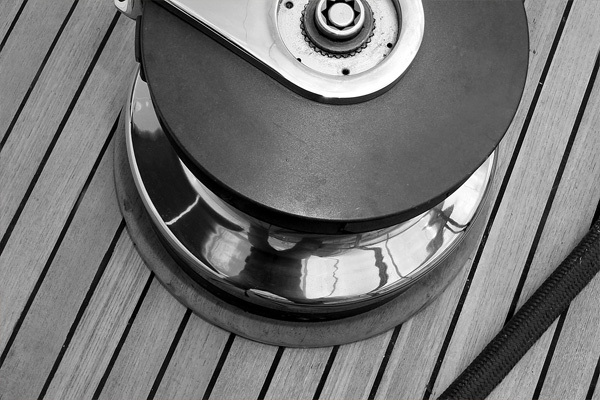 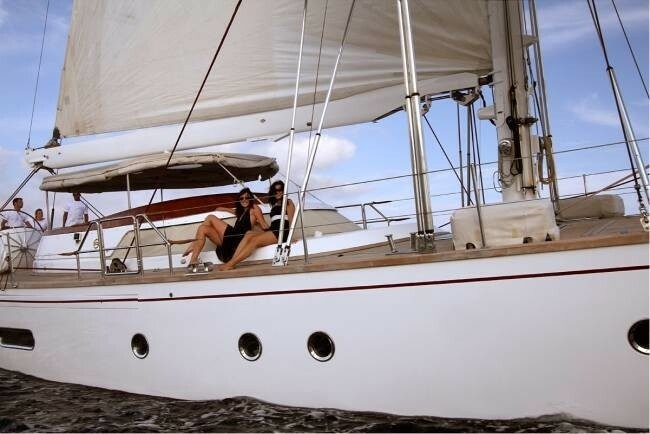 The voluminous foredeck is open and uncluttered, a perfect sunning area. 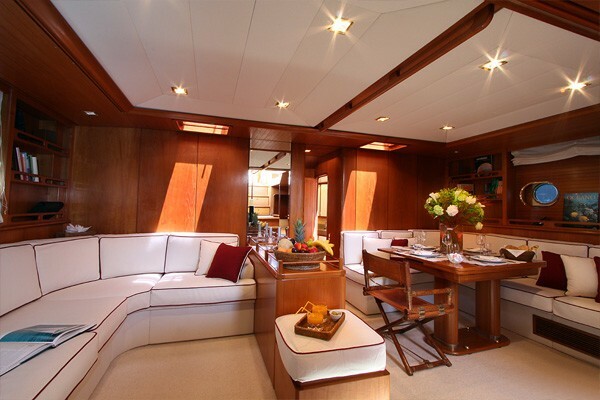 A companion way from the alfresco dining area leads into the captains pilot house and small lounge space, then continues to the salon and formal dining area boasting fabulous 19th century marine art and Persian rugs, combining a nautical theme with deluxe comforts, the large cabin area features a table for 6 on the starboard side and a lounge area with entertainment area to port. 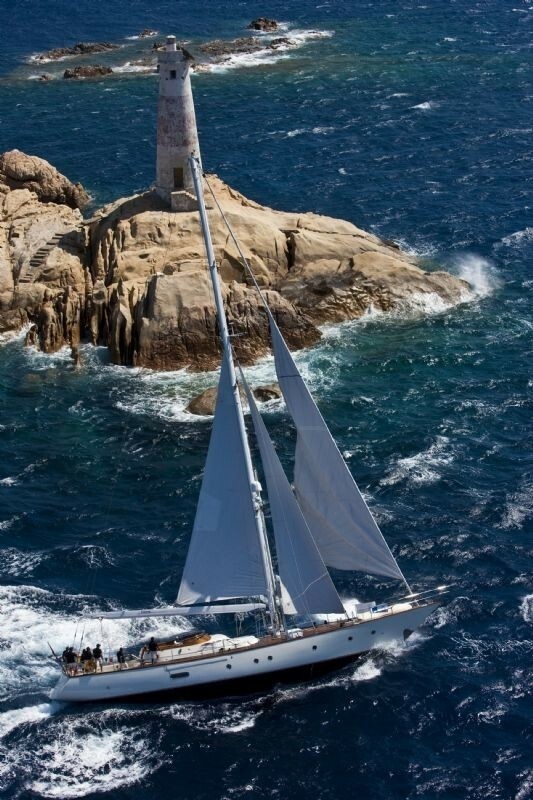 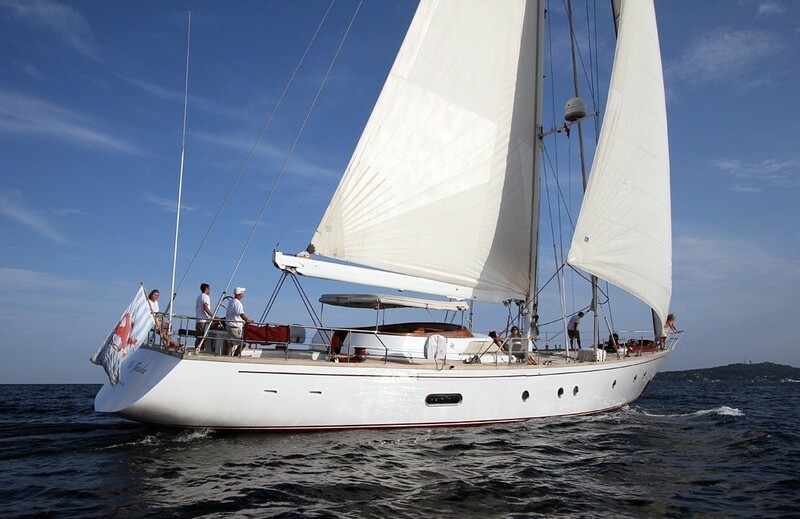 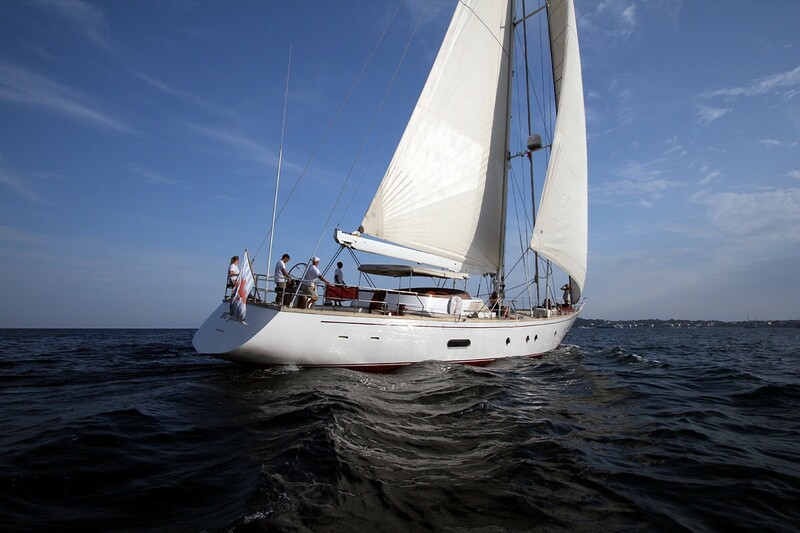 Sailing yacht MALIZIA draws 3.66 meters (12ft) and cruises at 9 knots. 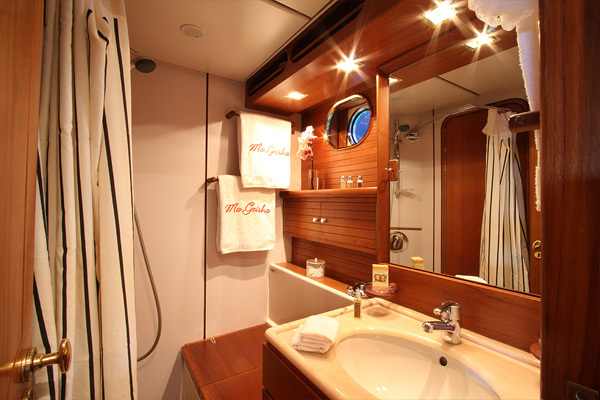 Charter yacht MALIZIA accommodates 6 guests in 3 lovely cabins, the master cabin is aft of the salon on the starboard side featuring a double bed and en-suite facility, aft of the salon on the port side is a twin cabin with 2 single beds, another guest cabin is forward of the salon to port with a double bed, all cabins offer en-suite facilities with a light and airy ambiance.